I was really excited to feature Tres Almas Mini on the blog, I love finding new brands and when I came a cross with Tres Almas Mini on Instagram, I was in love with their designs, colors and fabrics. The tunics, dresses and blouses are made with high quality materials and 100% pure cotton and linen. The 100% cotton and linen fabrics are breathable and light weighted -perfect for summer. I received a tunic to review, but since it was big on Mia I couldn't take the photos, But I was really impress with the tunic, is perfect for the pool, beach or with a pair of leggings for a park day. 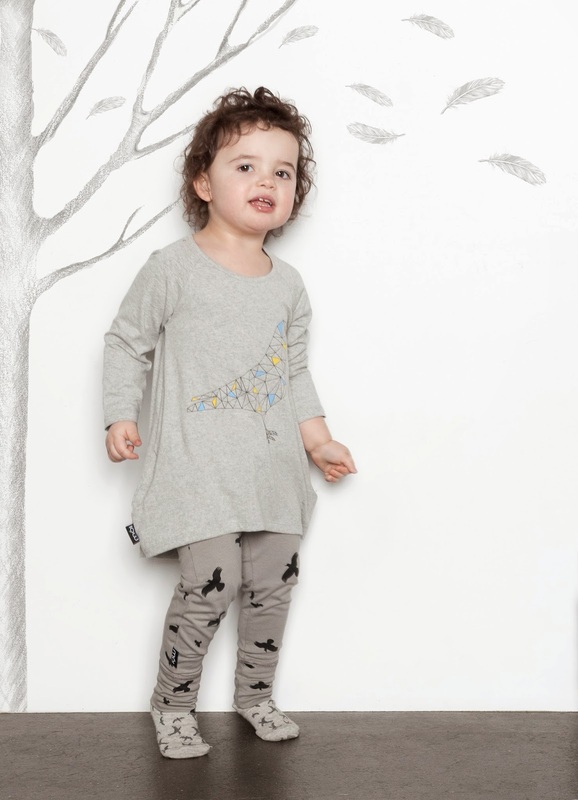 I love the prints of Tres Almas Mini, they are soft, delicate and girly, perfect for your little princess. 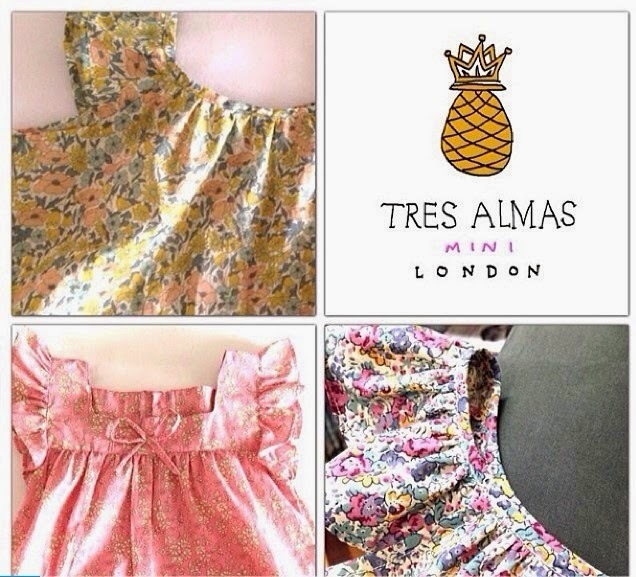 "Tres Almas Mini is a clothing brand for Little girls born and inspired by London. 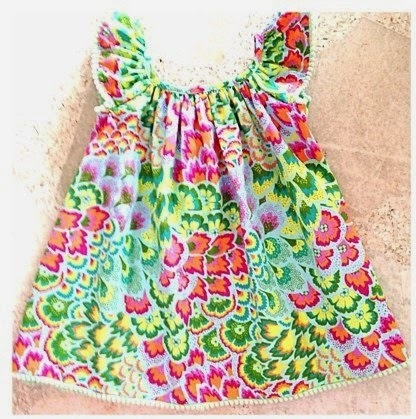 We use Liberty of London Art fabrics, 100 % pure cotton and linens and mix them with colorful pom pons, frills and metallic trims to create one of a kind handmade statement pieces that result in pure shapes, delicate prints and vivid colors for hip, sophisticated little girls. 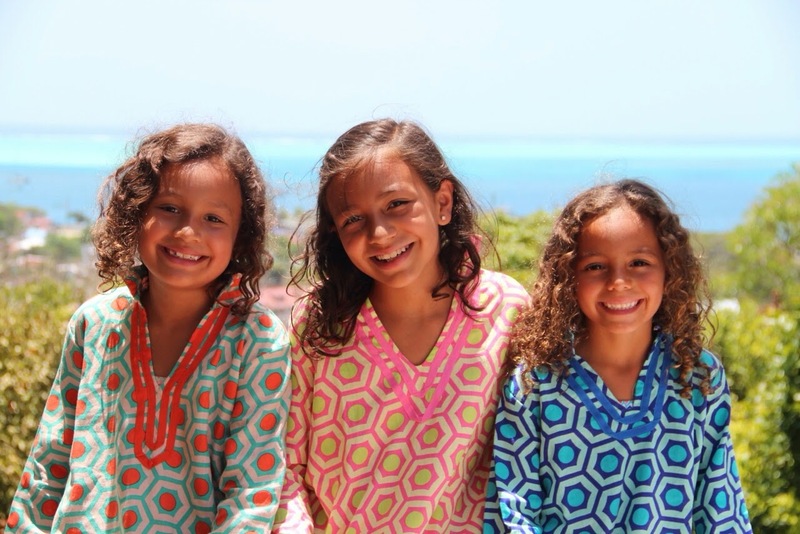 Tres Almas Mini is the dream of three friends and mothers of 5 wonderful little girls. Who seek to bring the finest materials and prints from London and add a touch of flair to create beautiful pieces that are elegant, sophisticated with a touch of funky fun"
Mói just launched their fourth collection for the upcoming Autumn-Winter 2014 "Urban and Ethical" and we are so excited to share it with you. 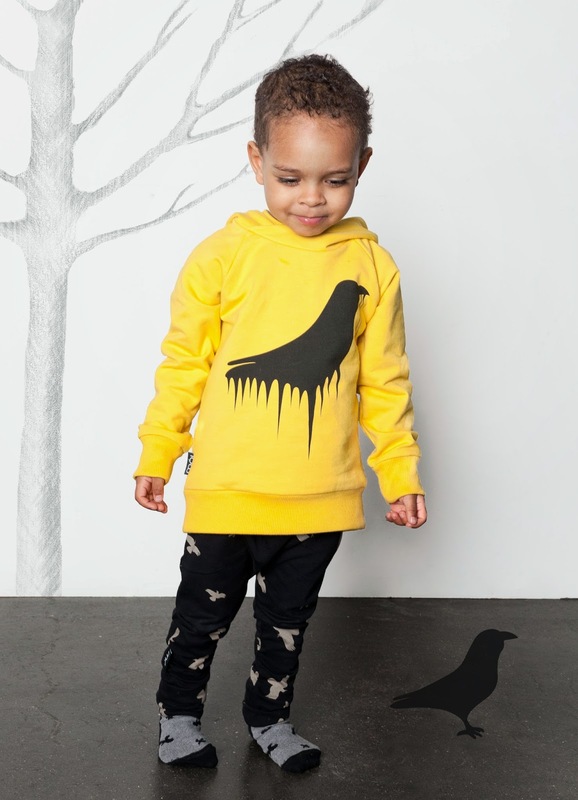 We love their signature large and small black raven prints. We are so excited to feature My Little Love Clothing on the blog. Home to the "Never [be] Duplicated" tee, My Little Love using American Apparel tees which are made of super soft cotton and great quality. You will always find a unique tee in her amazing shop since all designs are created by Noelle herself or through collaborations. 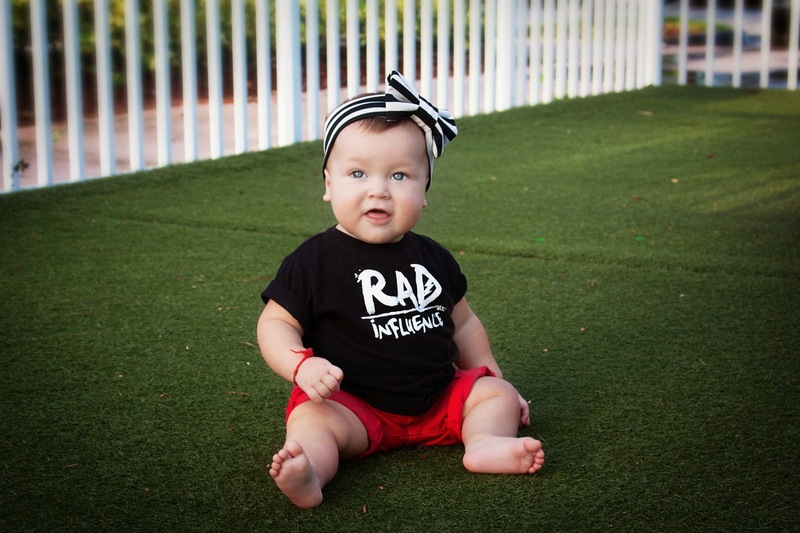 We receive a care package with the "RAD Influence" Infant tee for Mia and the "Explore in the Sunshine" NEON Tank for Valentino, the graphics are just perfect for girls or boys and we just love every shirt on her shop. Lucky for you some of these shirts are on sale right now. 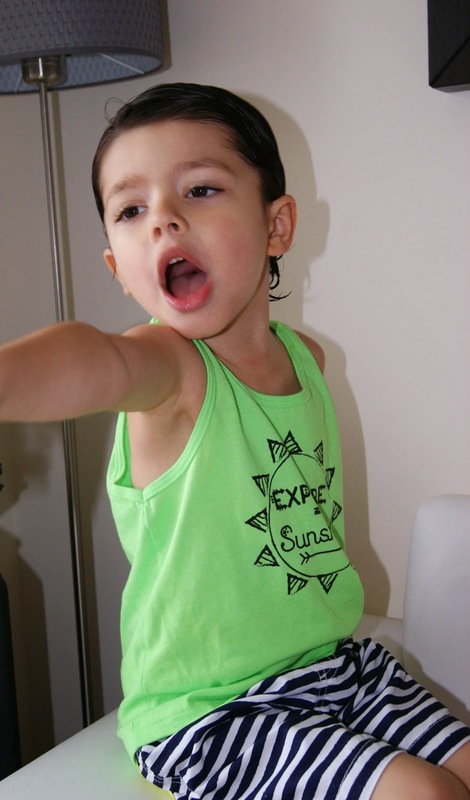 The "Explore in the Sunshine" tank is perfect for summer, the neon colors are perfect for pool or beach days! Valentino loves how comfy this tank is. 1. Tell us a little bit about My Little Love Clothing. e.g. Materials you like to work with, trends, etc. 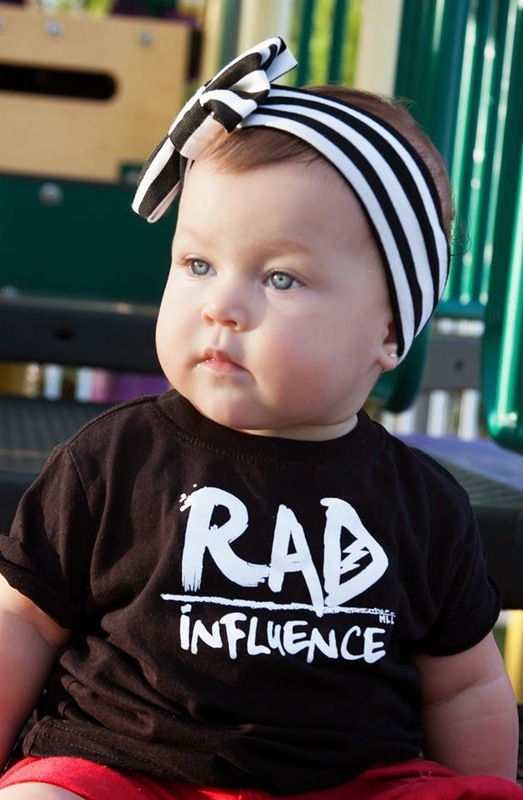 My Little Love Clothing strives to create “Trendy clothes for your trendy tot.” We specialize in modern & unique graphic tees for the littles but one of our top sellers is our infant/toddler SnapBack hat! We try to stay on-trend with our designs. 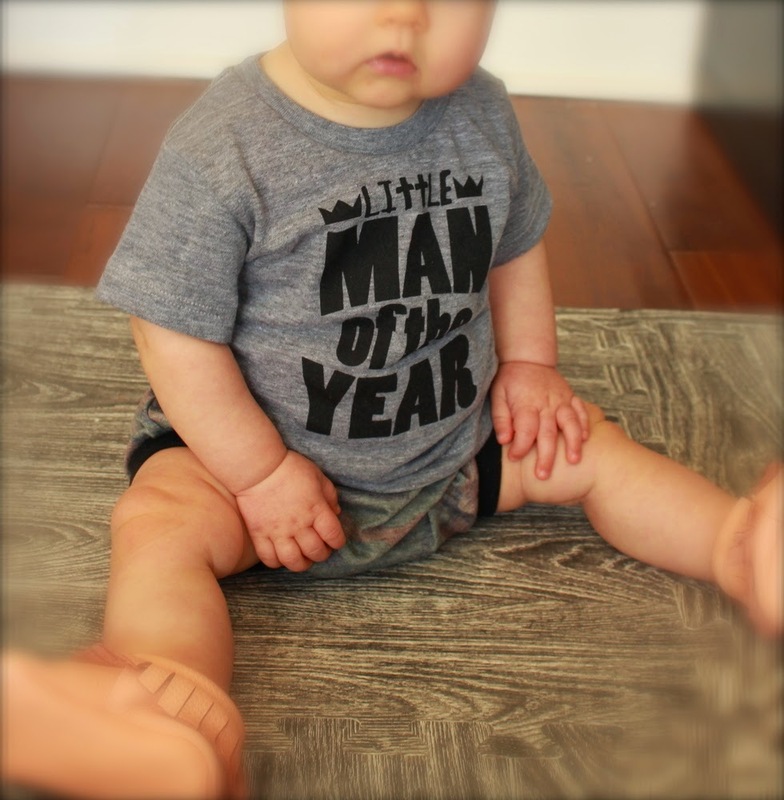 You can tell by our stuff that we have a thing for neutral colors so your little guy or girl can enjoy our gear! 2. Who is behind My Little Love Clothing? e.g. tell us a bit about the owner and the reason why My Little Love started. I, Noelle Bryant, started this company when my daughter was just a few weeks old. I think motherhood releases the creativeness in us all. When I was about five years old my family moved to St Croix, Virgin Islands and it was there that I truly discovered my love of design. Everything was vibrant, exciting and most of all, cheery. I would draw, write or create something new everyday. After college I entered the exciting world of medical sales. That fulfilled my love for being around people but once my daughter was born, it was easy to walk away from. I found myself enjoying every minute of being home with her (and of course dressing her up in all the cute clothes I spent months buying for her). I loved putting outfits together but it was the same outfits all my friends were dressing their kids in from all the same big name department stores. That's when I came across some shops on Instagram and I found her a few unique things that I couldn't just buy anywhere. All the shops I came across were truly inspiring. During one of her middle of the night feedings, as I stared at her pointy black hair and chubby little cheeks, I thought to myself, “She can never be duplicated.” Then I thought what a cute shirt that would make! That’s where my first design idea came from ( our "Never Duplicated" tee) And the rest is history! My first small shop I came across was @MamaOwlShop and to this day it's one of my favorites! I love dressing up all of my little love's outfits with a turban from her shop. They are a great buy for the little ladies! 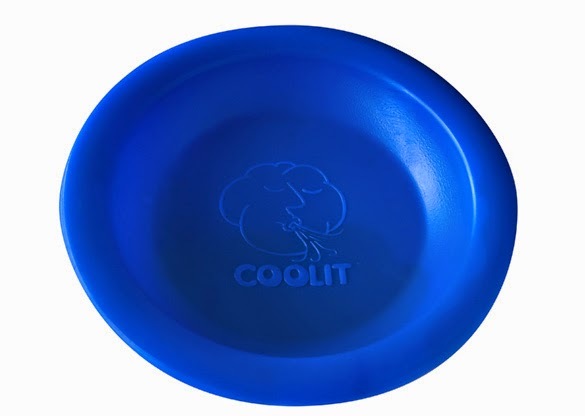 Today we want to introduce you to COOLIT Bowl a new innovated product that take foods from "Too Hot" to Just Right. I love meal time with my kids, but when my daughter is hungry she's really hungry and doesn't like to wait for her food to cool, so what I used to do was put her food on the freezer or blow on her food (I know, not good) so when I first read about COOLIT I was so excited and ready to try it. The COOLIT is a special cooling dish invented by the parents of two little impatient eaters who wreaked havoc on mealtime while waiting for their hot food to cool down. 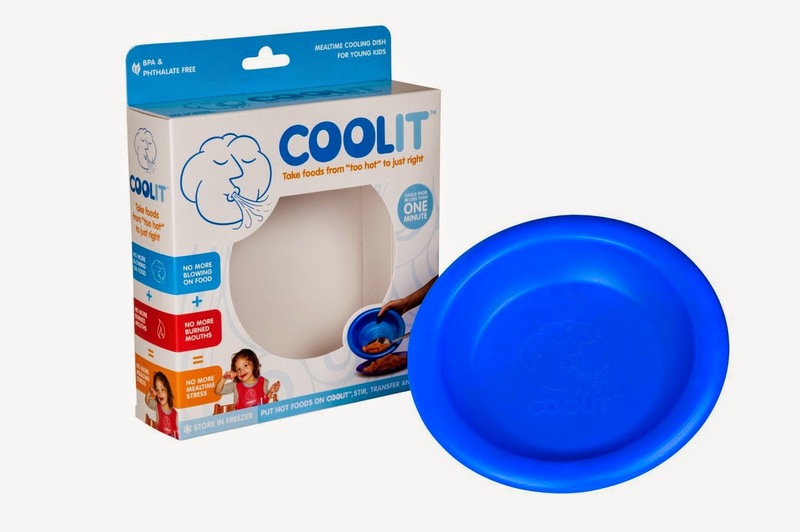 The COOLIT is designed with special non-toxic gel inside, kept in the freezer and then taken out at mealtime to properly cool your child's hot food in less than one minute! 2in x 8 in - fits perfectly in a bag to bring along to restaurants too! We are super excited to feature Tink & Key on the blog. 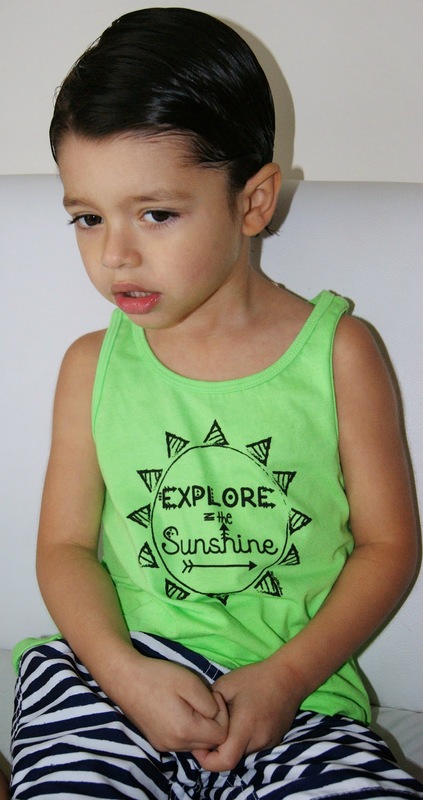 We love this small Etsy shop, each of their shirts have an encouraging message on it. 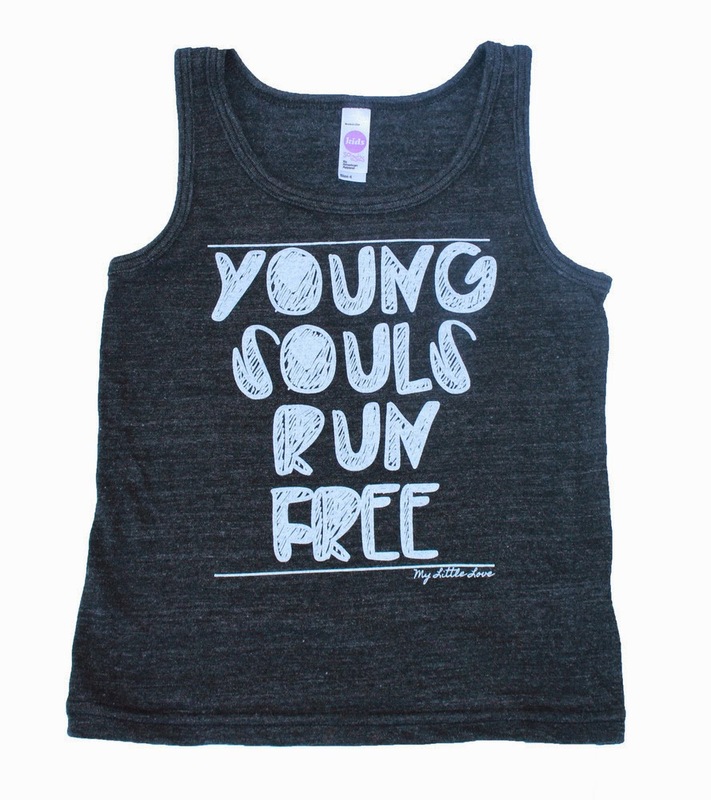 They are screen printed by hand on American apparel tees using water based inks, safe for children. Tink & Key is the home of the "Miracle Baby Tee" for us every baby is a miracle so this shirt is a must-have for all babies. We love their faith-based tees. When I was pregnant with my daughter, I started to have contractions at 21 weeks (I know, not good) Thankfully the doctors stopped my contractions, but at 34 weeks Mia decided that it was time for her to be born and after an Emergency C-section. She was here weighing 4 pounds 7 ounces. She was in NICU with a respiratory infection, hypothermia, jaundice and some other issues. Thank God after 2 weeks she was ready to go home. She is my miracle baby. We received the Fearfully & Wonderfully Made shirt and we absolutely loved it, This tee was inspired by verse Psalms 139:14: Tink & Key shirts not only have special meaning , but they are super cute, soft and comfy. 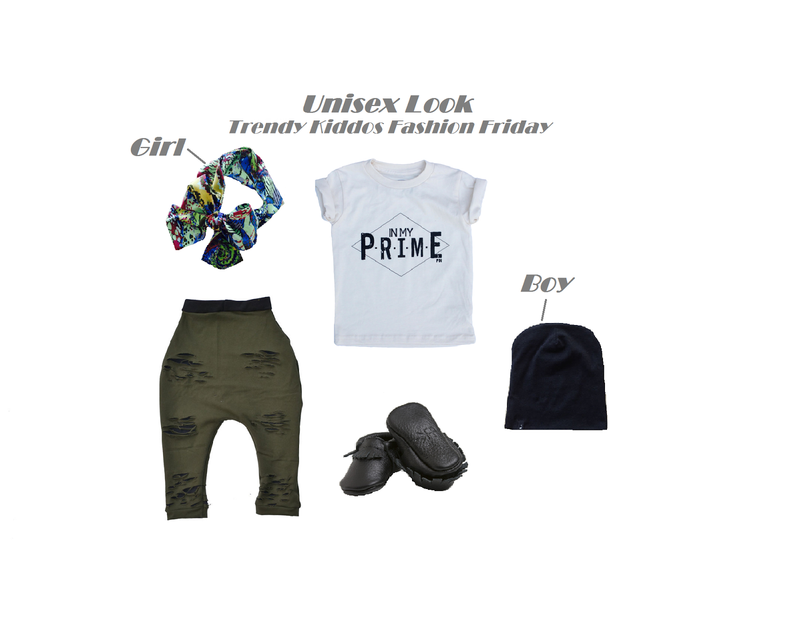 We invite you to check out Tink & Key Shop , Instagram, Facebook . 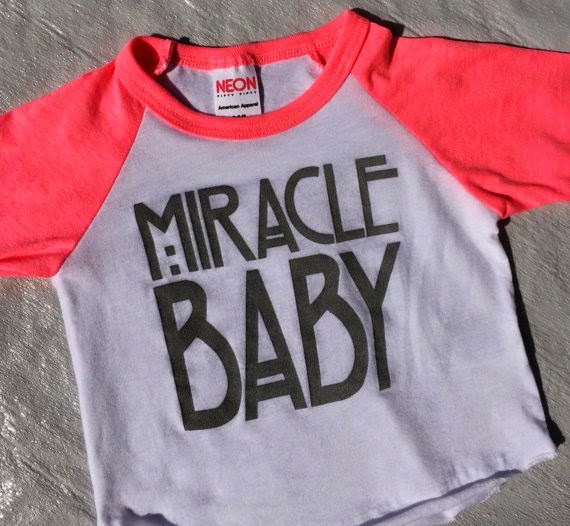 Home of the Miracle Baby Tee. Looking forward to sharing some encouraging words through our collection. Each shirt has significant meaning to my family and me. Through these shirts we would like to share how we have found hope during the storms and have been lifted up through these familiar verses and songs. Children are a gift from God and always put a smile on others faces. My hope is , while we are out running errands with our kids or playing at the park, they can shine the light of God's love to others by simple promises from their shirts. 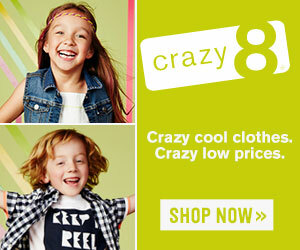 Today we are featuring RaZbaby and we are really exited because we love this innovative brand. Mia is getting her top four teethes and she absolutely loves the RaZberry teether. I bought one for my son (Valentino) when he was teething and since then I've been huge fan of RaZbaby. RaZbaby teethers gently massages and cools her tender gums. 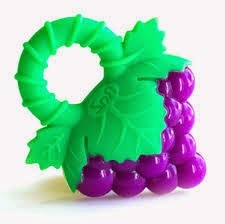 Mia also has the RaZ-Grape Teether and it's great!!! 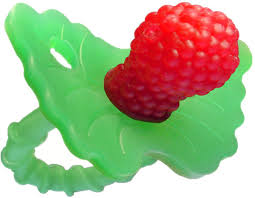 RaZbaby’s teethers feature fun fruit shapes with stimulating multi-textures that soothe while babies play. It is perfect for front and back teething - designed to soothe all stages of teething - and is made of 100% silicone that is BPA free. RaZbaby has found that the fun fruit shapes of their tethers, which can be frozen for extra comfort, help introduce infants to real fruits and thereby introduce baby to healthy eating habits from the start. Inspired by nature, the ultimate teeter presented in a surprise way. The Raz Baby Raz-Berry Silicone Teether is the first hands free all silicone teether, with stimulating multi-textures that soothe while they play for a happy teething baby. 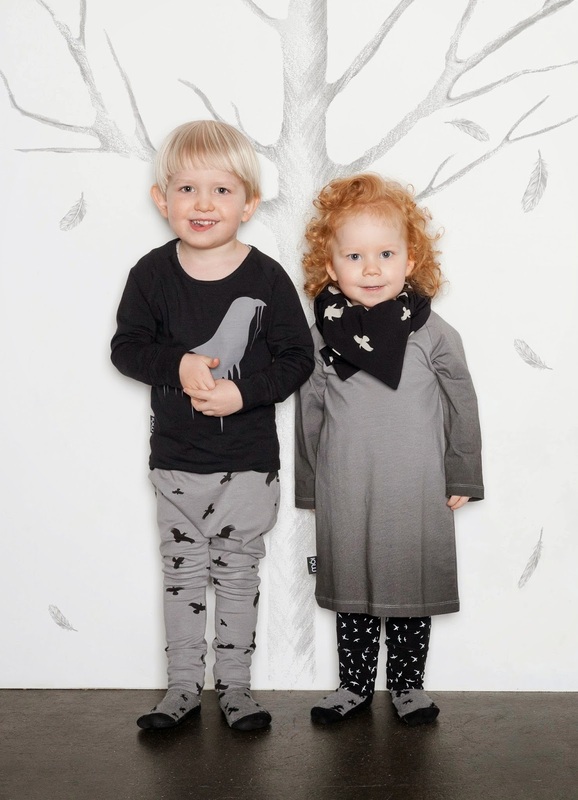 Today we are featuring one super cute and stylish shop Maisie Jayne. 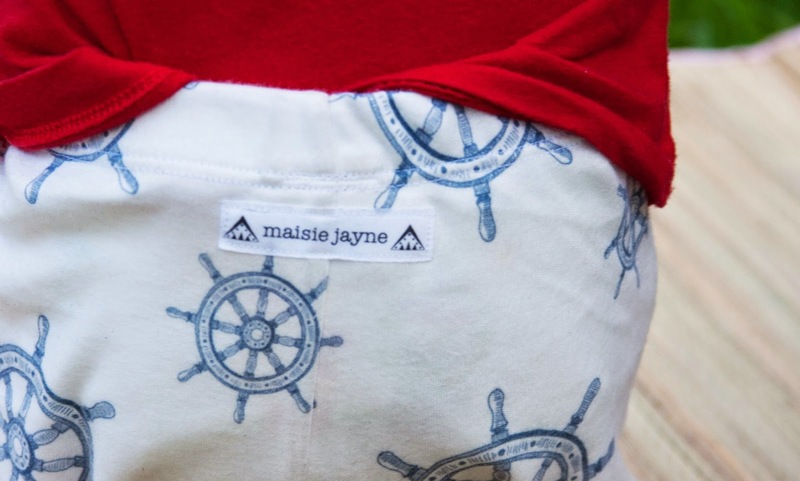 We love that Maisie Jayne is 100% handmade, The materials are high quality (Organic Cotton), super soft and comfortable, Perfect for our little ones. 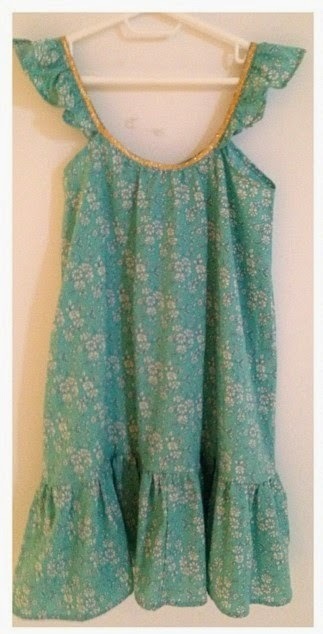 I fell in love with the softness of its fabrics, prints and colors. I love her new Nautical Collection, The waves, sea urchin ,octopi and the nautical wheel prints are super cute and perfect for the summer! We received the Nautical Wheel Organic Shorts in navy and white with striped cuffs in size 12 Months, they fit well and I totally loved them. They are perfect for the sunny day's here in Florida. What are you waiting for mommies? check out Maisie Jayne Shop , Instagram, Facebook and her Etsy shop. The shorts, leggings and skirts perfect for your little one. 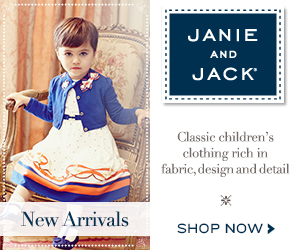 Maisie Jayne clothing is all about cute and comfortable clothing for our kiddos. I really love quirky, whimsical prints that catch the eye and offer something more unique than you can buy at the big stores. I stick mainly to knit fabrics because they are simply comfortable and soft, I know I prefer my yoga pants to my jeans! My clothing is simple in nature, easy to wear and get on and off. I have two lines of clothing; my original line of harem pants, rompers, dresses and headbands available at my etsy shop shopmaisiejayne.etsy.com and my newer line of knee patch leggings, shorts, scarves and more made from organic cotton knits available at maisiejayne.com. I recently began partnering with artists to design fabric prints exclusive to Maisie Jayne for my organic line which has been really fun! Right now at maisiejayne.com I have a line of goods in nautical inspired prints designed by Austin Lane. Later in autumn I will have a line of cowboy inspired prints coming out designed by Andrea Lauren! 2. Who is behind Maisie Jayne? Tell us a bit about the owner and the reason why Maisie Jayne stared. I, Abbie Whynot, am the mastermind behind Maisie Jayne but my daughter is the inspiration. When I was pregnant with Maisie I was a software engineer at a big company. I truly didn’t know until I held her in my arms if I would be returning to work. I decided I just couldn’t go back, I wanted to be there to see all of her milestones and smiles, the time goes by so fast I didn’t want to miss any of it. I also knew that if I were going to stay home I needed to find something else to fill my time and provide an outlet for my creative energy. 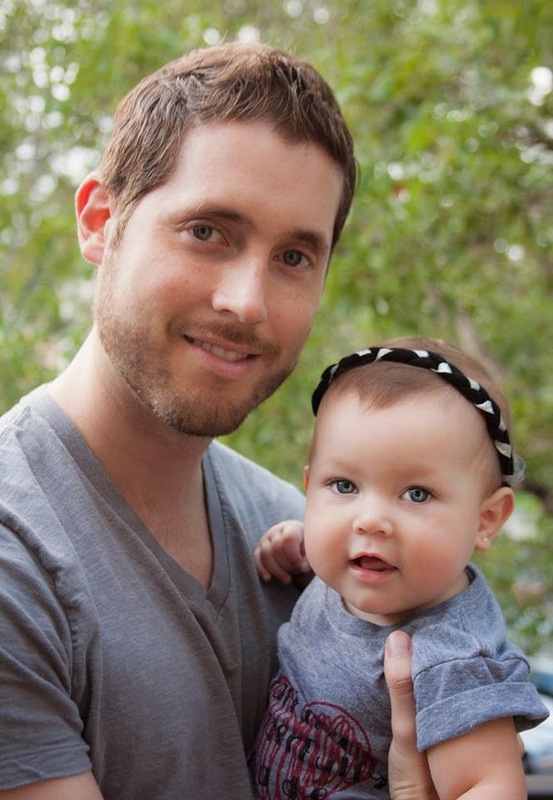 When she was 4 months old, in March of 2013, I opened my etsy shop with a couple pairs of harems and a few headbands. I have had pretty linear growth since that time and feel very fortunate to have found success with my business in such a short amount of time. That original line has grown to over 60 fabric options for the harems and headbands as well as adorable harem rompers and circle skirt dresses added earlier this year. Around the end of 2013 I decided to expand into an organic line of leggings, beanies, headbands, circle scarves etc. and launched the maisiejayne.com website. I knew there were a lot of people doing organic leggings and wanted to add a special, differentiating touch to them so I added cute little knee patches in contrasting fabrics. They are so cute, I love dressing my Maisie in them! I joined Instagram around the same time and it has been the best social tool for marketing my business. I love how active the community is, it’s a great way to reach your customers directly and promote your brand. It can be a bit of a problem because it introduces you to so many great brands that it’s hard not to just buy everything I see! In my spare time I love to dance! I have been dancing since I was 18 at local community colleges. Modern is my favorite though I enjoy ballet and jazz as well….you do not want to see me do hip hop :). I will be performing for the first time in 4 years in August at a local theater. I admire so many businesses. It’s amazing to see all of the amazing and entrepreneuring mothers out there make it happen for themselves and their families. We all work so hard. I never put this many hours into my professional career, this job, like parenting, is a 7 days a week gig. One of my old friends, Cashmere, from ballet classes is the owner of BOAcreates (www.boacreates.com). I watched as she launched her business and now it has exploded! I admire her energy and that she is always trying out new ideas. Her offerings are constantly evolving and I am so excited to see her amazing AW14 line! I also covet items from Duchess and Lion Co and Elskan, I am never fast enough on the draw to snag any!